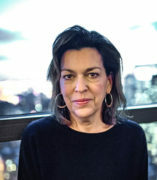 María de Los Angeles Torres is a Professor of Latin American and Latino Studies at the University of Illinois in Chicago. She received her PhD from the University of Michigan, Ann Arbor. She taught political science at DePaul University in Chicago from 1987 to 2005. She was a faculty Associate at Notre Dame's Institute for Latino Studies, 2000-2001 and was a research fellow at Chapin Hall University of Chicago 2002. She is currently the Interim Director of LALS. She is author of two books, The Lost Apple: Operation Pedro Pan, Cuban Children in the US and the Promise of a Better Future. Boston, Mass: Beacon Press, 2004 and In the Land of Mirrors: The Politics of Cuban Exiles in the United States. Ann Arbor, Michigan: University of Michigan Press, 1999. She is co-author of Citizens in the Present: Youth Civic Engagement in the Americas, University of Illinois Press, 2013. She edited By Heart/De Memoria: Cuban Women's Journeys in and Out of Exile. Philadelphia: Temple University, 2002 and co-edited, Global Cities and Immigrants: A Comparative Study of Chicago and Madrid, Peter Lang, 2015 and Borderless Borders: Latinos, Latin American and the Paradoxes of Interdependence. Philadelphia, Penn. : Temple University Press, spring 1998. She has published chapters and essays on issues of diversity, US/Cuba relations, and immigration. Currently she is working on a manuscript The Elusive Present: Time and Politics in Cuban Thought.